In a previous post, the idea of the Cloud Office was introduced. 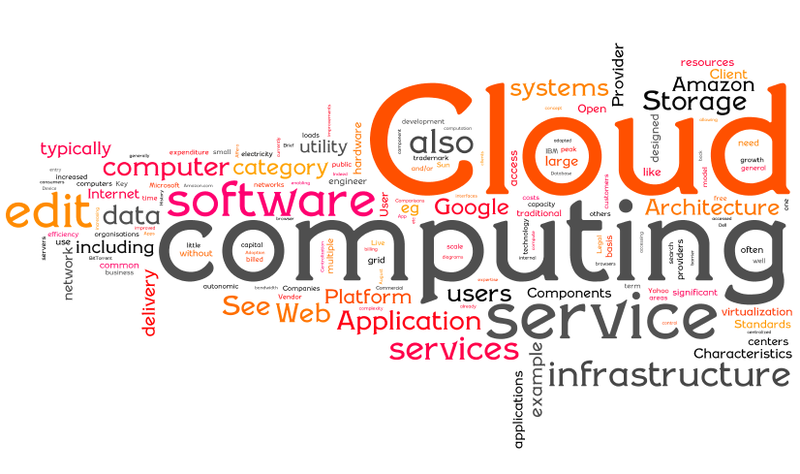 In this, the third of our three posts regarding Cloud Computing , we will take a closer look at the vast positive positive parts of your information stored in the Cloud. There is no server hardware or software to purchase/house/maintain – this is especially important for solo or small group businesses that may not have the ability or may not want an IT person on staff. In the event of a disaster scenario, not having your information on on-site servers makes it easy to set up an impromptu hot-site, and allows for faster recovery time as little to no data is lost. Many hosting companies make it a point to have highly sophisticated security measures/data protection in place and are very concerned about keeping your data safe – it is highly unlikely that an anonymous hacker will gain access to your data. They may also have better customer support than may be offered from a local IT support company. Along those same lines, with company documents, customer files, and shopping cart data stored in password-protected, secure sites online, it’s not a total catastrophe if a laptop is lost or there’s a break-in at your office. In fact, with all the actual files are stored in the cloud, if someone were to break into a device, they would just find a bunch of apps waiting to link to the cloud, and no actual documents. While team collaboration is still possible with applications like Skype, SkyDrive, DropBox, and GoToMeeting, as well as the solid standbys of old – email, texts,and calls, many office-based interruptions (both work related and not) go away when you have to think about ‘is this worth bothering them about’ and then send a message, or can it wait until the next scheduled meeting, virtual or actual. With all of the files needed for customer interactions, meetings, and presentations at your fingertips in the ‘Cloud’, you no longer have to worry about leaving the USB drive (with the documents, presentation, or presentation files) back at the office, hotel, in the car, or anywhere but where it needs to be. While the idea of your data on someone else’s servers may not be a comforting thought, the fact that a person can work from different locations on many different devices (desktop, notebook, tablet, smartphone) means that having out-of-sync files is a thing of the past. The office is anywhere with Internet. Having your data and programs running online, rather than on local office computers, means that employees have access to the needed information anytime, anywhere there’s an Internet connection. The Fixed-Cost Advantage – Software provided in the ‘Cloud’ is upgraded and maintained by the hosting company, so you do not have to purchase the newest version of software or download fixes and patches. There is also a possibility that you may not need to buy a program outright, but could potentially enter into a monthly or annual SaaS contract. The fixed cost allows you to plan and budget resources, rather than be caught off-guard when a costly software or hardware upgrade must be purchased. In an actual ‘real-world’ example, the city of Los Angeles moved from a local email system to Gmail two years ago, a move that saved the city approximately $1 million annually in software, hardware and support costs. In addition to the cost savings, many workers stated they like the fact that they are able to access email on their own devices, whether they’re smartphones, tablets or traditional PCs. The city’s IT staff likes that it gained a disaster-recovery system — something it didn’t have previously — as part of the overall package. The IT staff also enjoys shifting its resources away from supporting and updating the email system, as Gmail requires practically no support. In this example, the cloud provided an application that was more cost effective and easier to maintain while providing more scalability, storage and redundancy. In a previous post, the idea of the Cloud Office was introduced. In this, the second of our three posts regarding Cloud Computing , we will take a closer look at the potential pitfalls of having your information stored not on a local drive, but in the vast expanse of the Cloud. Limited Customization – The entity hosting your information may have a standardized way of organizing your information / folder structures, and it may not be YOUR way. The host controls your data – You are at the mercy of the host as it relates to scheduled backups and security updates. While we’ve all hit the “Install Updates Later” button on our local PC’s, the host may run updates and backups when it is convenient for THEM, not necessarily for YOU. This may be especially true if the host is overseas or in a substantially different time zone. If the power goes out for some reason, snowstorm, earthquake, lightning strike, you may be able to continue working if your information is on a local server/LAN. If you rely on the internet to access your information, and the internet is offline for some period of time, your data may be inaccessible. The “Cloud Office” may not be viable for rural companies with limited internet options or smaller bandwidth capabilities. If the host company goes out of business, your data may be lost if there is no plan of action to transfer that data to another company or to your company to look for a new host. Some business owners/operators may cringe at the notion that sensitive data, perhaps including trade secrets or confidential documents, are not locked up on company premises but are floating somewhere in a cloud. There have been cases where online hosting services have lost supposedly secure data. Some users may wonder about compatibility and security, especially when sharing files with other companies and whether cloud solutions really have as many features and functions as on-premises programs such as Microsoft Word, PowerPoint and Excel. For example, an Excel power user who has built a lot of macros and has a high number of cells with built in complicated formulas will find a drop-off in the functionality of those complex macros when switching to cloud-based spreadsheets. Integrating cloud-based products with a company’s industry-specific programs/applications may prove problematic, but the expectation by “Cloud” supporters is that applications of all kinds (industry specific and ‘generic’ programs alike) will migrate to the cloud in the future, as vendors focus on how to make them work seamlessly together. Adoption and training of employees who may be resistant to change and insist on doing things the ‘old way’, such as emailing the file back and forth continually revising the naming convention rather than communally collaborating on a file. Part of this would involve changing the processes and work flows that have been in place for many a year. Working on the same file simultaneously — a much more efficient and effective way to collaborate – is one of the main benefits of the “Cloud”. The dictionary describes an office as “a room, set of rooms, or building where the business of a commercial or industrial organization or of a professional person is conducted.” While this may be true, in today’s global environment, an office can be anywhere, anything (building, cubicle, taxi cab or coffee shop) and at any time. In the past, and currently as well, employees report to a centralized location to perform their responsibilities. At this place, this office, are the required items –conference rooms, printers, computers, phones, whiteboards, desks, tables, etc. – each employee needs to perform their daily tasks. But what if your employees were not tied to a centralized office? What if your employees could work from anywhere, anytime, and with little to no loss of productivity? What if the files, software and databases your employees needed to access were always at their fingertips, anywhere, any time? What if meetings were not required to be done in a large room, but through laptops, tablets and cell phones. It sounds rather futuristic doesn’t it? That future is the “Cloud”. That future is NOW. “Cloud Computing” or “Cloud Integration” means storing and accessing your data and software via the Internet, rather than running it on your office workstation or office server. 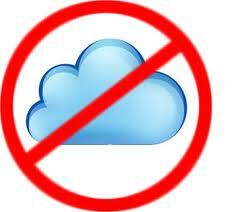 If you use programs such as ‘Gmail’ or ‘Google docs’, you may not realize it, but you are already using the “Cloud”. So what does the “Cloud” have to do with the office? The concept of the “Cloud” or virtual office is not a new one, but has quickly gained ground of late. With the introduction of the newest version of Microsoft Office 365 and Google Apps, moving the business office to a virtual format has never been easier. While some businesses have been early adopters of the “Cloud” office model, others are resistant, stating most often, ‘ We’ve always done business this way (brick and mortar), there’s no reason to change.’ This is a valid argument, but just for the sake of a differing viewpoint, what are the main challenges, benefits and drawbacks of a decentralized office? In upcoming articles, this will be explored at great length. So, with all things being equal, if your software and databases and files were all at your fingertips via your internal network or the “Cloud”, let me ask you…would you rather perform your daily tasks from the conventional office or from the coffee shop around the corner, the cushy softness of your couch, or even the beach?